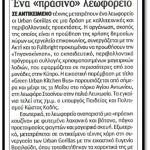 An urban intervention to encourage the public to learn about, and to actively participate, in Tiganokinisi. 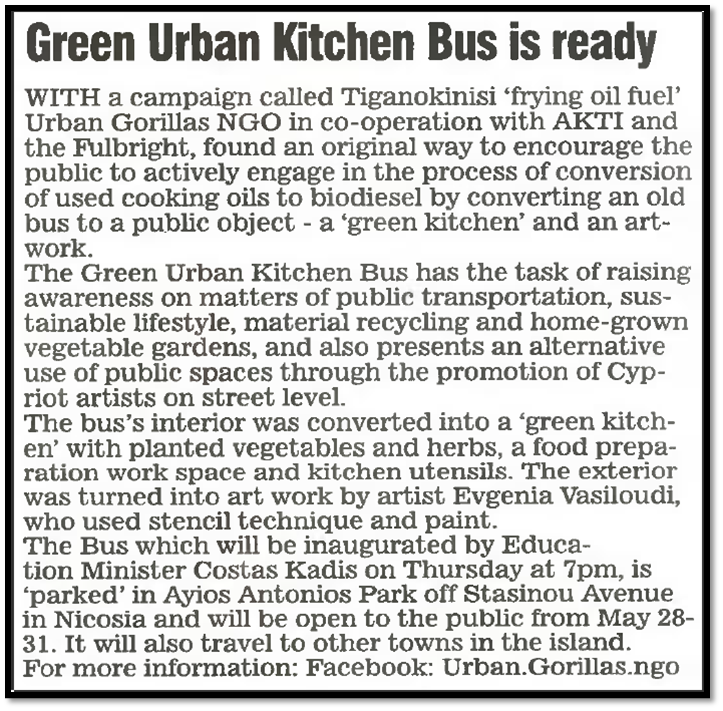 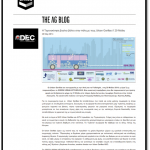 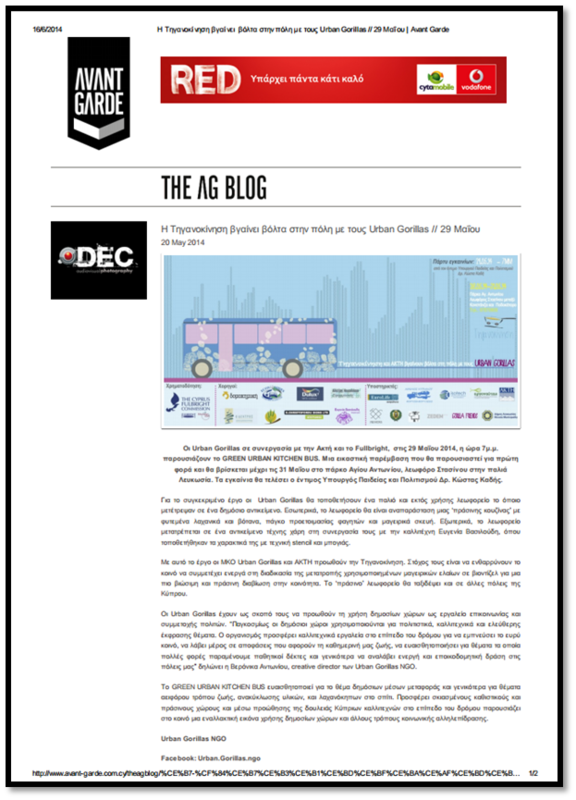 AKTI collaborated with the NGO Urban Gorillas and with ISOTECH Ltd to raise awareness about the serious environmental problems that inappropriate disposal of used cooking oils can cause, increase public participation in the Tiganokinisi project and, while doing so, contribute to the regeneration efforts for Nicosia’s city centre. 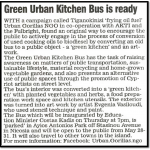 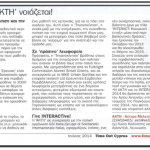 During the 6 months of the project, a public engagement and information centre was created in the heart of Nicosia, in the City Plaza shopping centre, where information about environmental issues was available to the public. 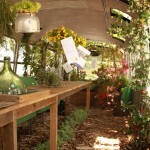 The space also served as a meeting and networking space for various NGOs and citizens groups. 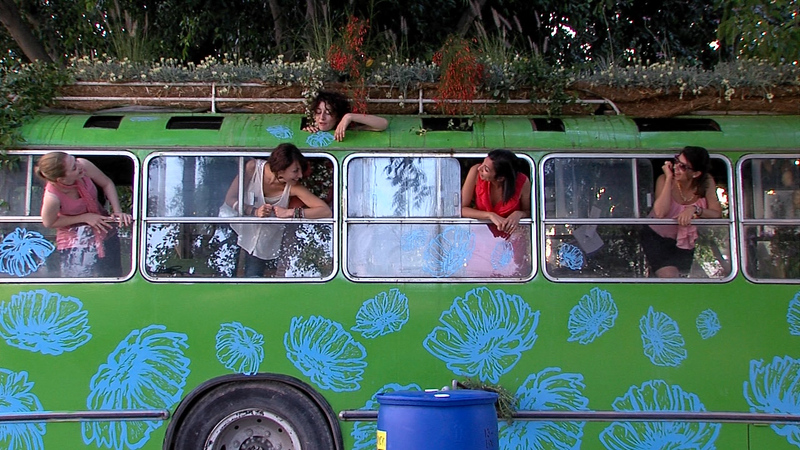 In order to raise awareness about the Tiganokinisi project to the general public, an innovative and engaging installation was created and placed in the centre of Nicosia, by the historic City Walls. 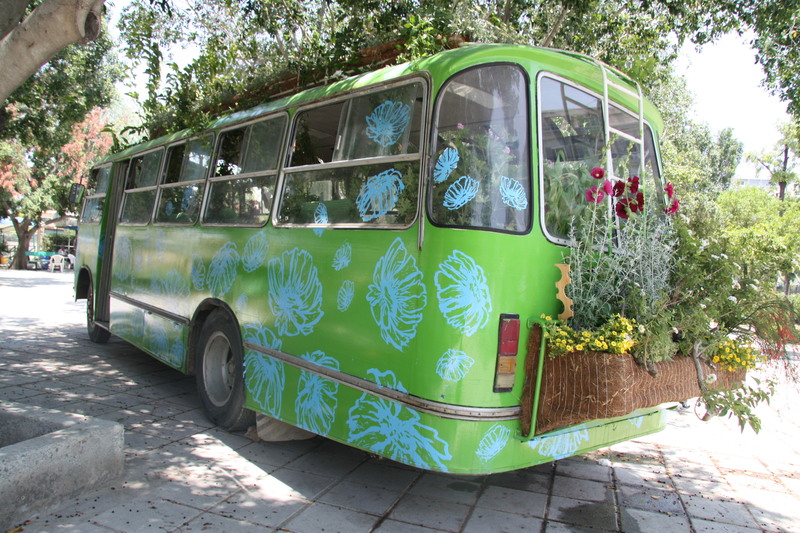 For the purposes of the installation, an old and out of use bus was converted into a piece of art, its exterior decorated with the designs of the renowned Cypriot carver Eugenia Vasiloudi. 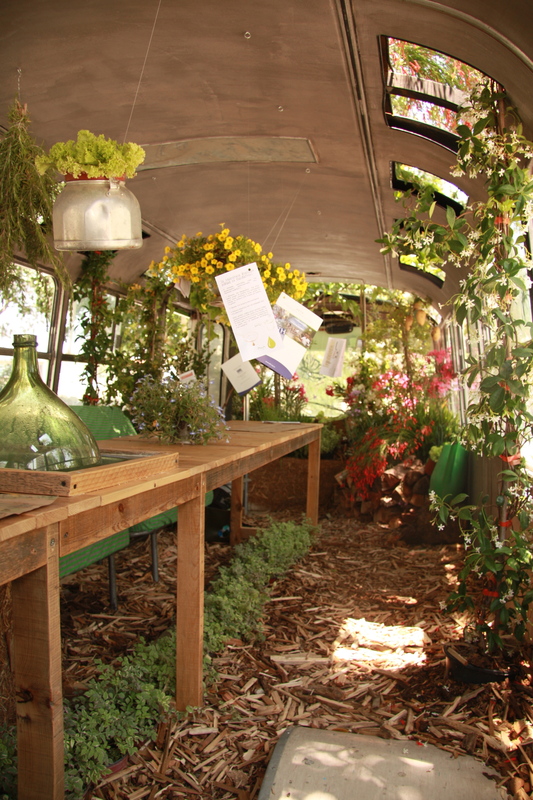 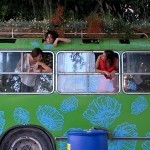 The interior of the bus resembled a green urban kitchen, complete with a sink, pots and pans, all planted with endemic trees, herbs and flowers. 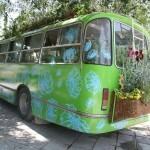 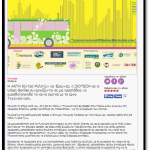 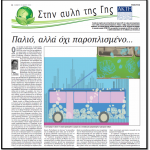 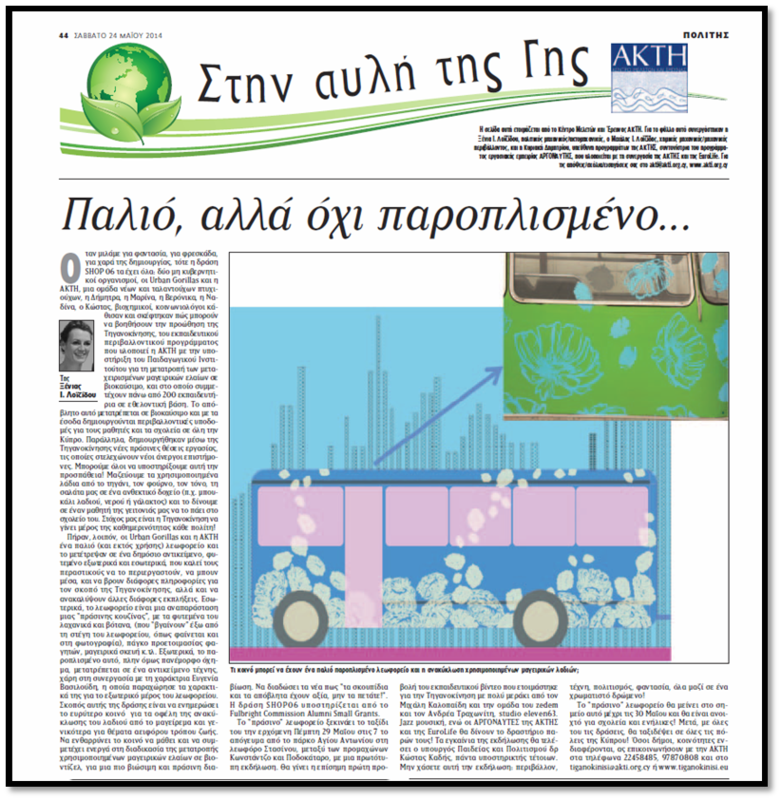 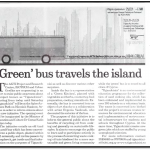 The need to recycle and reuse was emphasized through the use of educational material playfully distributed inside and outside the bus, but mainly by the conversion of the bus itself. 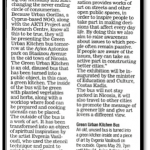 The installation was first exhibited to the public and was inaugurated by the Minister of Minister of Education and Culture on May 29 in the old city of Nicosia. 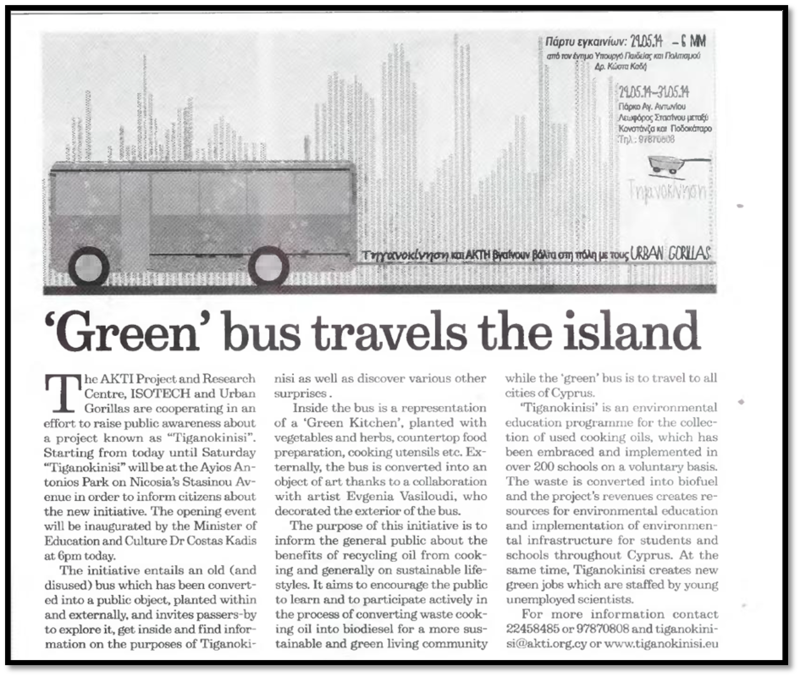 The event was also attended by the Commissioner for the Environment, the Commissioner for Volunteerism, representatives from the Pedagogical Institute and many others. 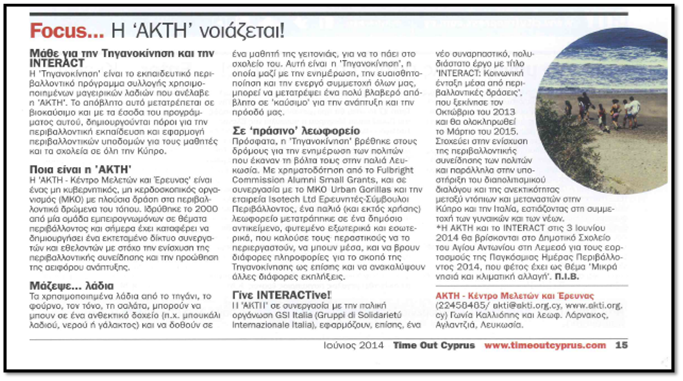 This project was awarded to Ms Nadina Andreou of AKTI and Ms Demetra Orthodoxou of ISOTECH Ltd and was funded through the Fulbright Commission’s Alumni Small Grants.